We recently featured an article from The Telegram of David and Sara Simmons of Pure Holsteins Ltd., the first dairy farm in Newfoundland to convert to robotic milking systems. They installed two Lely Astronauts in October 2014. The robotic milking systems were funded through The Growing Forward 2 AgriInnovation Fund and will serve as a model demonstration for the local dairy industry in Newfoundland and Labrador. The industry will benefit tremendously from its introduction. Growing Forward 2 is available to the agriculture sector via federal and provincial streams, addressing the most prominent industry challenges. The Minister of Natural Resources, Derrick Dalley and Federal Agriculture Minister, Gerry Ritz, announced a $345,000 investment in an innovation robotic milking system for Pure Holsteins. Minister Dalley added that the provincial government is committed to further growing the dairy industry which has become one of the most successful in the province’s agriculture and agri-foods sector. 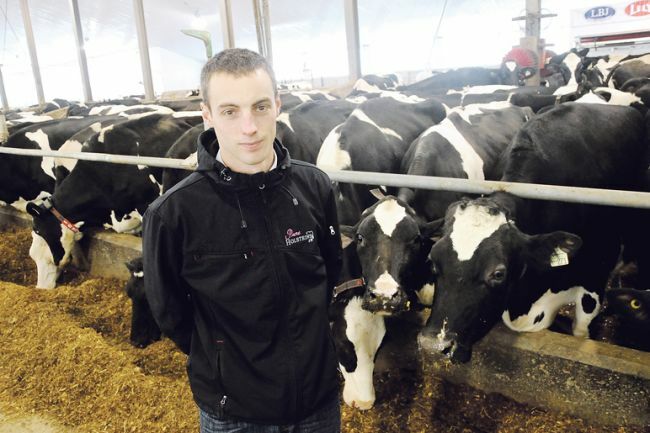 “Investment in innovation technology like the robotic milking system is another step in helping the industry become more efficient and competitive,” Dalley said. To learn more about the funding available through the Growing Forward 2 AgriInnovation Fund, read this article by Mentor Works Ltd.